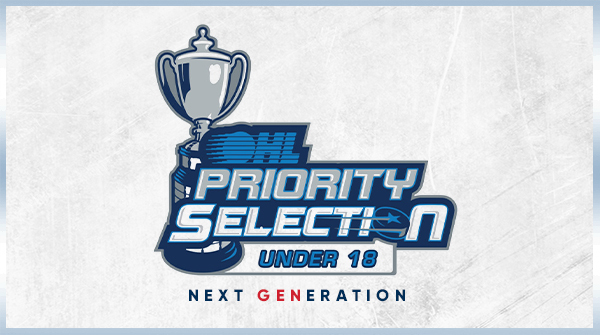 Tonight, the Ontario Hockey League will hold it’s third annual Under-18 Priority Selection. The Generals hold two picks over two rounds plus a third pick option for clubs who select a goaltender. The event gets underway at 7:00pm. 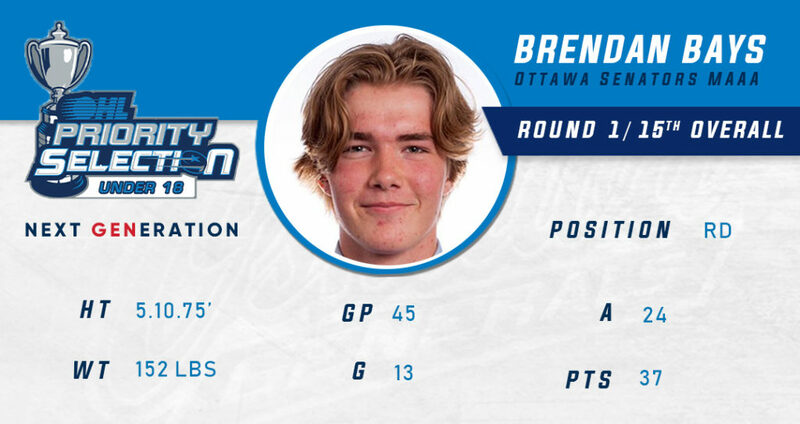 The concept of the OHL Under-18 Priority Selection has developed with support from Hockey Canada’s three Ontario Branches including the Ontario Hockey Federation (OHF), Hockey Eastern Ontario (HEO), and Hockey Northwestern Ontario (HNO). 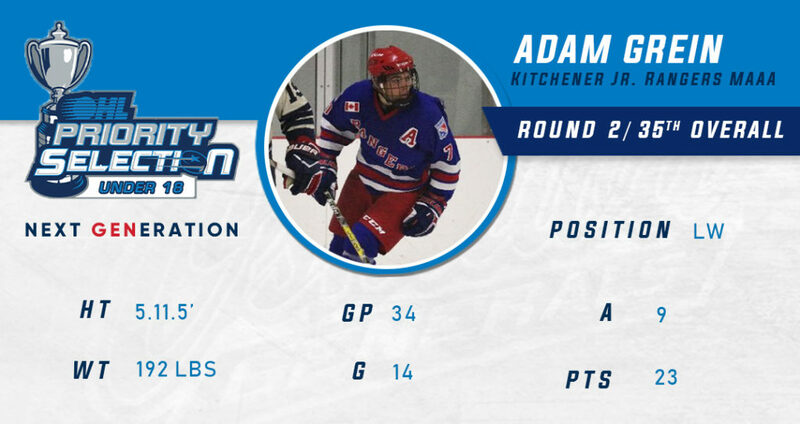 Eligibility for the OHL Under-18 Priority Selection includes all Midget players not currently on an OHL Member Team Protected List who were carded with an Ontario based Midget AAA Hockey Club within the OHF, HEO, or HNO in the current season. The order of selection for the Under-18 Priority Selection will be the same as the Under-16 Priority Selection format. This is determined through the final preceding regular season schedule. The non-playoff teams shall select first determined by inverse order of finish, followed by the remaining teams with the selection position again determined by inverse order of finish. This page will be updated with the Generals selections as the draft takes place. Fans can follow the league coverage here. Tune into the live audio coverage here. Ontario Hockey League Prospect information can be found here.